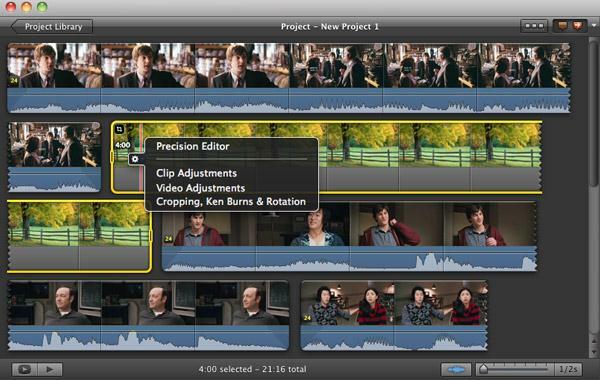 Covers every aspect of iMovie: tips, tutorial, alternative, troubleshooting and more. If you're a Windows user and want to make home movies with good video editing software, we also recommend all-in-one iMovie for PC programs. iMovie requires you to load media into the project so that you can further edit them. 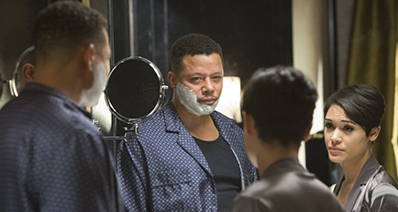 The files you import may come with different codec and formats. However, the program doesn't recognize all the files but limited to a few compatible formats. 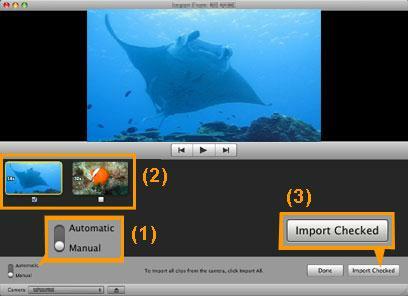 Here are some iMovie tips to outline how to import different types of media. Turn on the camcorder and set it to VTR or VCR mode. Open iMovie and connect the camcorder to Mac with cable. Then up pops the Import window (if the Import window doesn't open, choose File > Import from Camera). Automatic imports all of the video on the tape, and rewinds the tape again. If you use this option, click OK. Manual enables you to import only the footage you want. You can use the controls to set your tape to the point where you want to begin importing. Then click Import to save your video to the location of your choice. After that, create a new event or an existing event if you have one. Turn on your camera and set it to PC Connect mode. Open iMovie and connect the camera to your computer with cable. 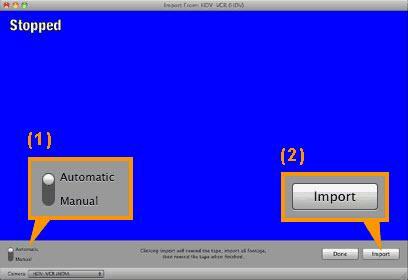 Then the Import window will pop up (if the Import window doesn't open, choose File > "Import from Camera"). To import all clips, set the Automatic/Manual switch to Automatic, and then click Import All. On the other hand, set the switch to Manual and import specific clips, and then click Import Checked. After that, save the video to the location you like. Note: Even though iMovie supports these formats, it is not always the case when you try to import them to iMovie. To solve the problem, just convert the file to iMovie compatible formats using the method mentioned below. 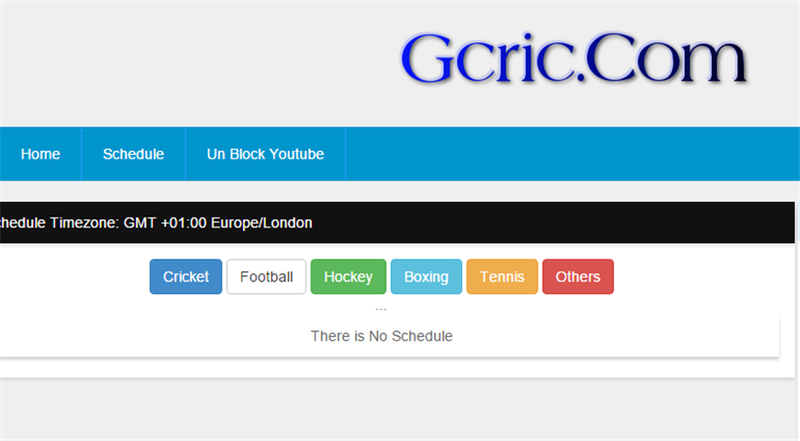 Not Supported Formats AVI, MKV, WMV, FLV, SWF, VOB, MTS, M2TS, TS, TP, MOD, 3GP, ASF, etc. If the file format is compatible with iMovie, you can simple click File > Import > Movies… to use them. As for not supported formats, you have to convert them to iMovie compatible formats before importing. Here an all-in-one iMovie converter: iTube Studio for Mac is highly recommended. It is more than a video downloader, but also acts like a video converter program which enables you to convert your local videos to the format you need. 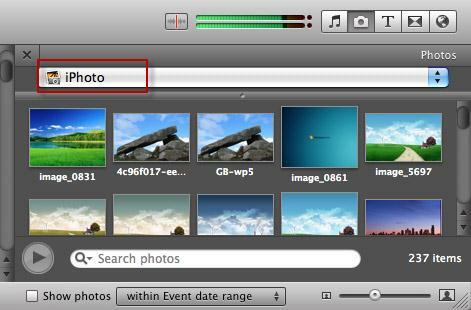 Choose Windows > Photos or hit the “Photos” button, which looks like a camera in the toolbar. Click on the dropdown to navigate to your images by selecting the application (iPhoto or PhotoBooth) that contains your files. A list of images will appear in the image library window. If you know the name of the picture, you can search it in the search field. To import photos to your Project Timeline, click and drag the selected picture into the timeline. If you would like to change the default settings of the photo clip, click the gear in the lower left corner of the photo clip. Hit "Clip Adjustments" and an Inspector menu appears, where you can set the duration of photo displaying time or choose a video effect. You can also hit "Cropping, Ken Burns & Rotation" to customize your photos. After all the settings, click "Done" to finish the altering. Choose Window > Music and Sound Effects or click the "Music and Sound Effects" button in the iMovie toolbar to bring out the Music and Sound Effect browser. Click on the dropdown to navigate to your audio files by selecting the application (iTunes, GarageBand) or folder that contains your files. 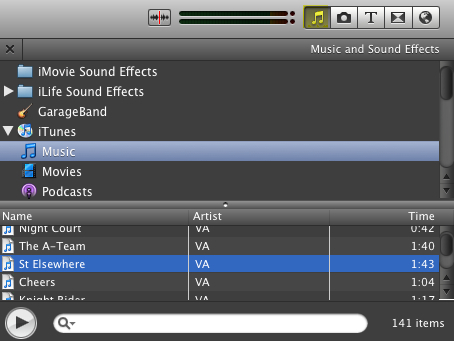 You can use the Search field to find the audio file you want by name. To add audio files to your Project Timeline, click and drag the audio file into the timeline. Choose the audio clip, click the gear and choose "Clip Trimmer", "Clip Adjustments" and "Audio Adjustments" to customize your iMovie background music. You can trim the music, adjust the volume and set audio fade in, fade out effects, etc. You may have found many interesting videos on YouTube and want to make them more stylish with iMovie. Here an easy-to-use video downloader and converter - iTube Studio for Mac is introduced to help you import YouTube videos to iMovie. 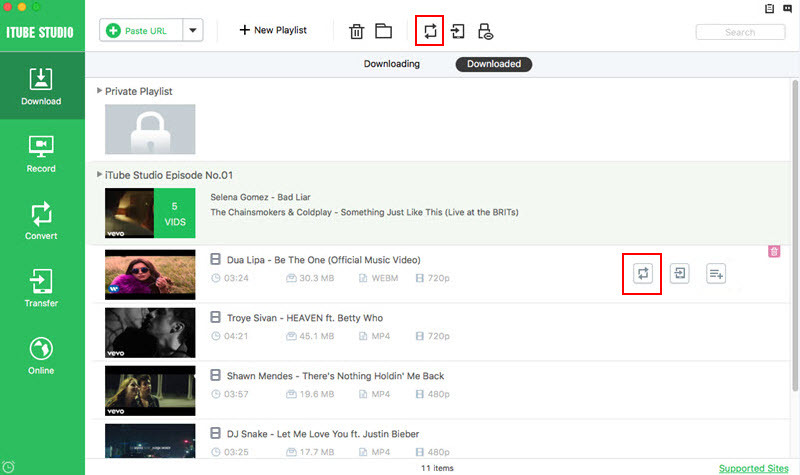 It's easy-to-use and enables you to downloads YouTube playlists, channels, and subscriptions in batches. Go to YouTube and find the video you like, then copy the video URL in the address bar. Now go back to iTube Studio and click the Paste URL button, then the program will show you a pop-up dialog asking you to select the video quality you need. After selecting the video quality for output, you can click the Download button at the bottom of the pop-up dialog to let iTube Studio start downloading YouTube video. You'll see the downloading process in the Downloading tab. When the downloading process is done, you can go to the Downloaded tab and find the downloaded video. Now you can right-click the video and choose Open file location to locate the video on your computer. After that, you can open it with iMovie.